We’ve seen the previews from all your favorites on the high street and beyond; and trust us when we say there is plenty for everybody! Here are the top looks for interiors to help you stay one step ahead! The neutral and balancing color for many interiors may still be grey, but we expect colors to be bolder this year. Both, on walls and furniture pieces – we are feeling adventurous with color choices as the new collections have shown. Deeper, moodier interiors are more popular than ever with navy, vibrant emerald green & rich violet all major colors for 2018. The bright new spring/summer palettes are further elevated on furniture pieces by luxurious velvet. 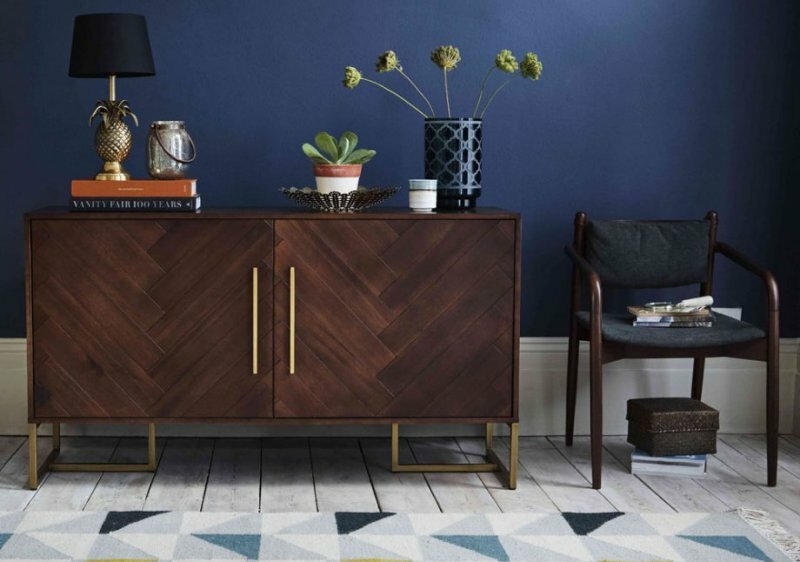 As furniture is set to go darker this year, we are stepping away from pale woods that was made hugely popular thanks to the Scandi trend for the past few years. Retro glam is back with a modern luxurious twist. This rich, darker trend has been popping up here and there for a while now, but this year it’s ready to take over our homes completely. But are you ready, that’s the question? 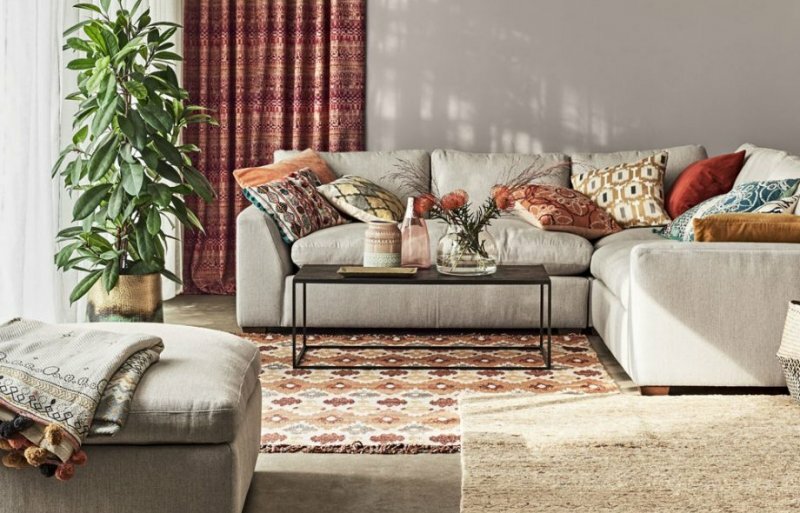 Travelling is a major influencer in interior trends and this year is no exception. Earthy shades of clay, terracotta and ochre prints and patterns inspired by unique places, such as the palaces of Rajasthan. Try mixing small scale Ikat prints with larger paisley-inspired designs. 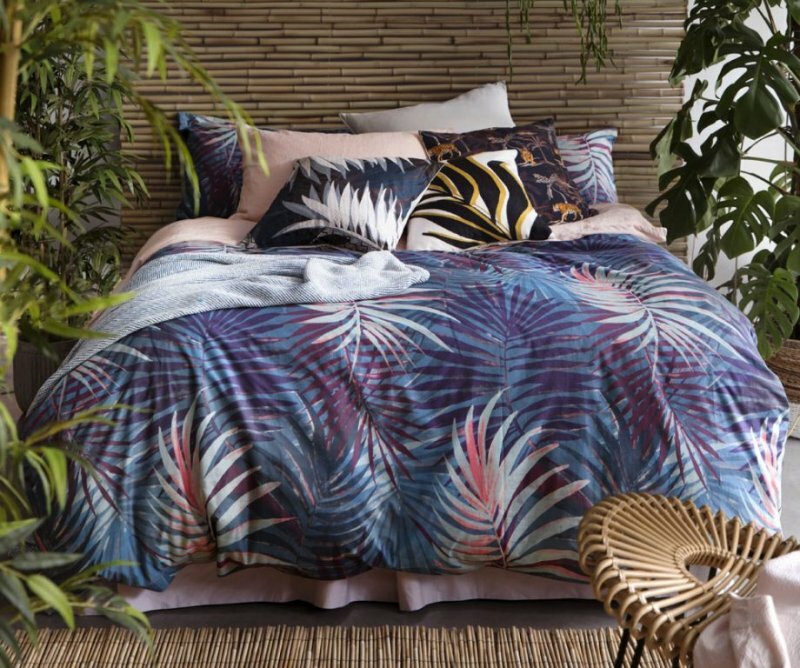 Continuing from last year, the tropical trend is still going strong. And for a good reason; just look at those bed sheets! To meet 2018’s high standards the trend has evolved, featuring more luscious, energizing greens and less carnival brights. 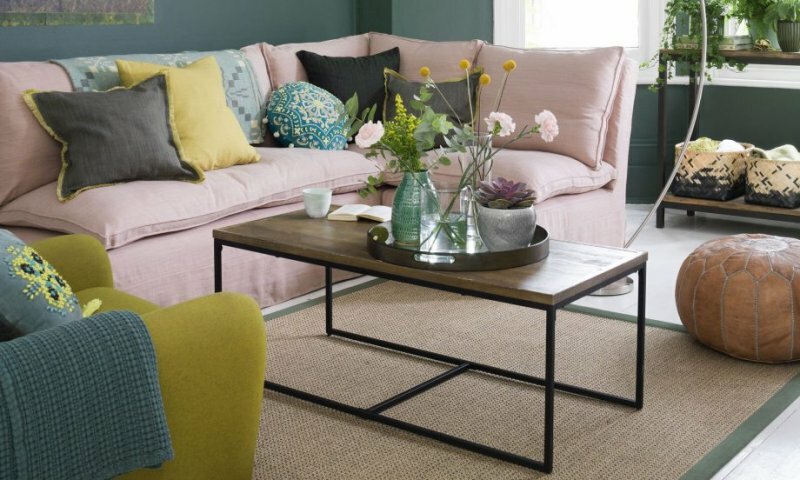 Vibrant shades of green look amazing against darker furniture and the charcoal and navy walls. You can easily incorporate this trend in your home. 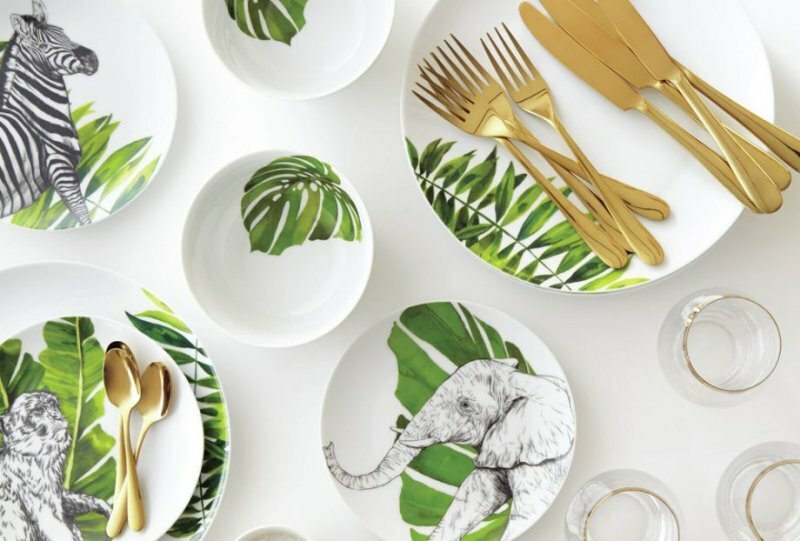 Just think large green leaf prints, oversized animals and exotic birds. The metallic color palette is not new, but the difference this year is the choice of metallic finish. This more sophisticated brass, less copper & rose gold. 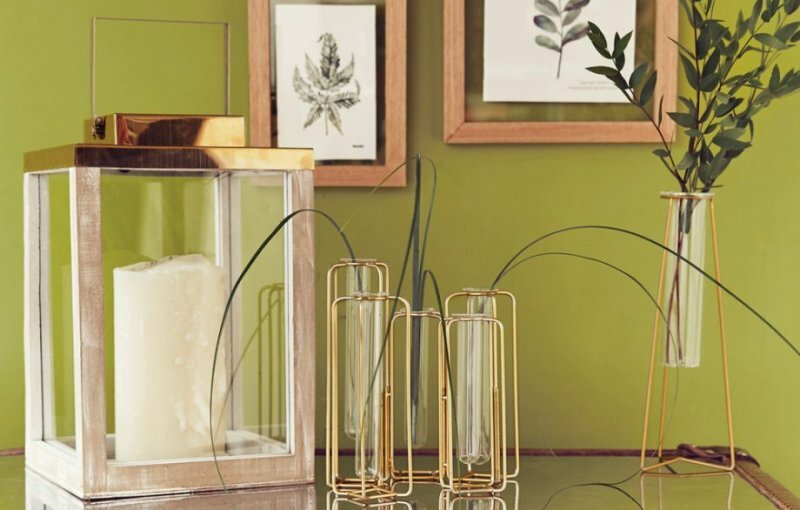 You can easily add a luxurious touch to any room with small accessories such as a mirror, reading lamp or a modern glass vase with brass metal details. Simple finishing touches are what’s going to make your home stand out. 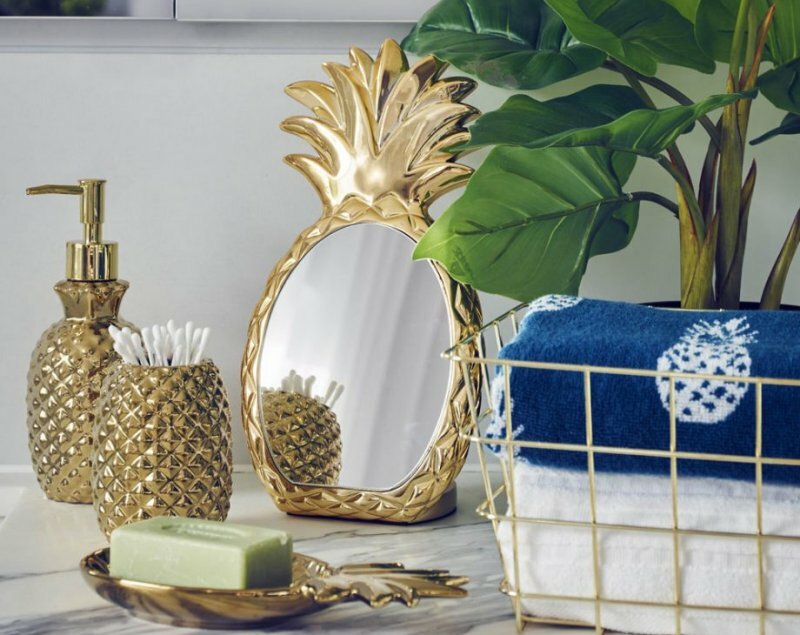 Metallic shades & pineapple for the bathroom ? Move over cactus! The charming pineapple is back as a gorgeous motif to grace your home this spring/summer season. The cactus is most certainly not going anywhere, but it is definitely taking a back seat. There is a pineapple-something for literally every room. According to Pinterest, marble is bigger than ever with rising number of searches for green marble. From reading lamps to bed linen, kitchen back splash & wallpaper, there is a marble effect finish for all home accessories. 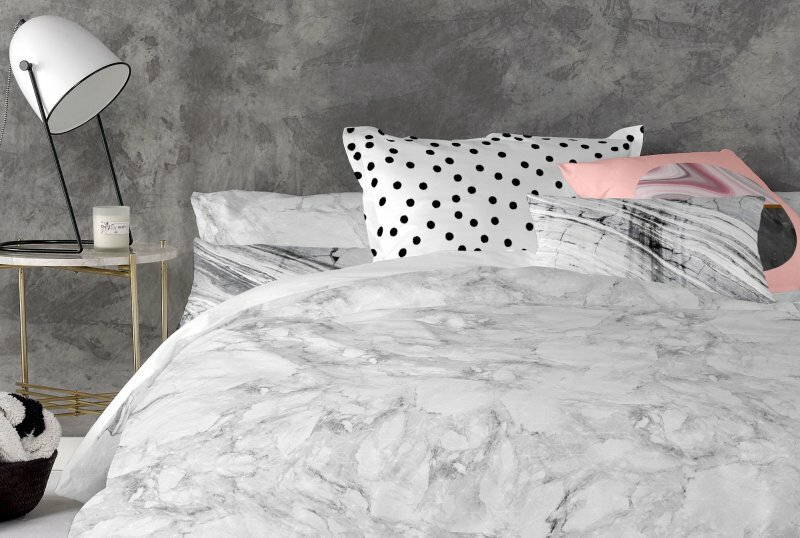 Marble printed cushions can add a trendy touch without overwhelming the rest of the decor. Although, not so mainstream yet designer are turning to tassels and fringes to add color & flirty edge. 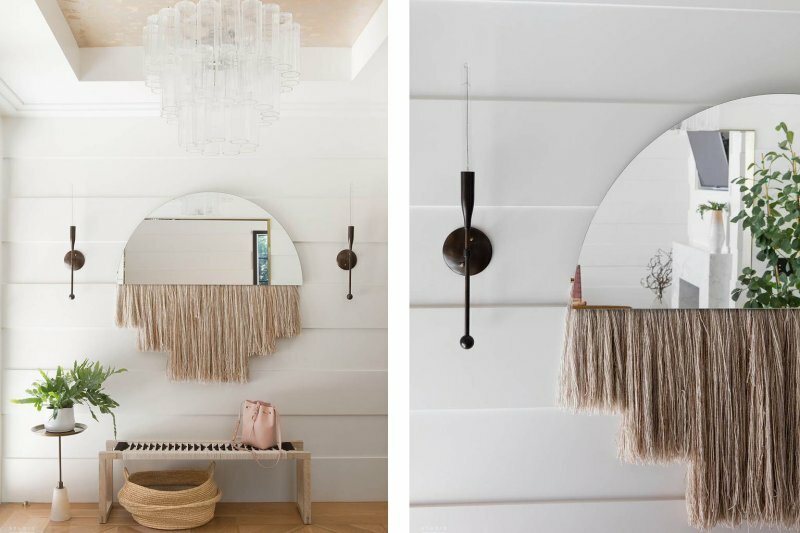 Fashion always trickle down to interiors and fringes are the bomb this spring. 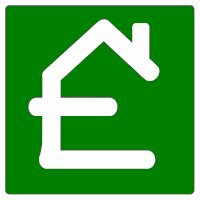 This is the trend if you want to stay ahead of the curve.